Through Facebook Like Box you will able to see how many likes you have already got in your page and what are the thing that your friends have commented, liked or shared on the sites. You can also be able to know what are the recent posts those you have from your page. 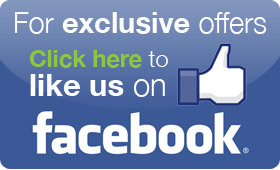 With only click you can like the page without visiting the page. Users can share pages from your websites to their own Facebook profile through Like button with one click. Now a question may arise that how to add the Facebook Like Box to the blog but the answers is very simple go through the below heads to know how you can do this. After logging on your Facebook account, go to ‘Ads and Pages’ option in the lefts side and you will see a list of pages after clicking it. Then click on the ‘Edit page’ option and then scroll down to see’ Promote with a Like Box’ option. You will see a like page there you can fix things in order to highlight Facebook fan page. You can do that by opening another tab for edit page again then observe the URL in the address bar and then the copy the address to paste into the box which will enable to see your own fan page. Then click on the ‘Get Code’ then an HTML will pop up. Just copy and paste the code under the tab of iframe into the source of HTML of your blog template. By going to your blog dashboard there you will find Widget next to it is text . Add the Iframe html code you have copied to text and you are done .Click save. You may increase or decrease the height and width according to your wish . In this way you can add the Facebook Like Box to your blog.